As winter recedes in wake of spring, you may find yourself willing to venture outside and get in shape for the summer. With useful tips and hints taken from our expert advice Made Easy series, let us help you prepare for your outdoor fitness plans. Modern running shoes are precision-built from a large number of individual components, each designed to perform a specific function and to work in harmony with each other. 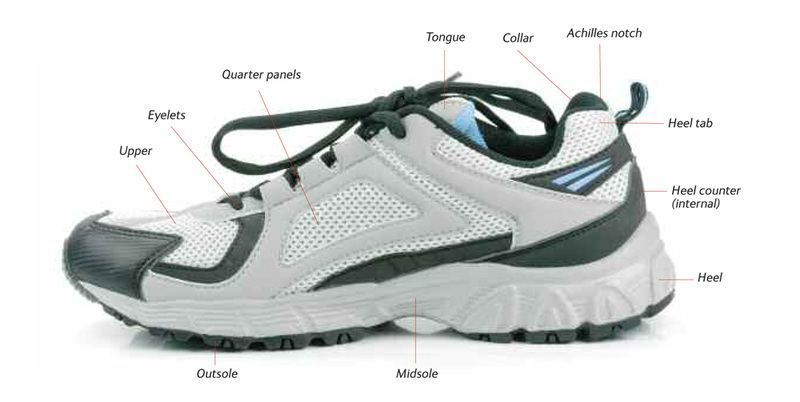 Manufacturers’ websites should detail all the technical aspects of their shoes. Our expert advice made easy helps translate this information into simple, digestable information. Here are some of the main terms you will find when researching running shoes. 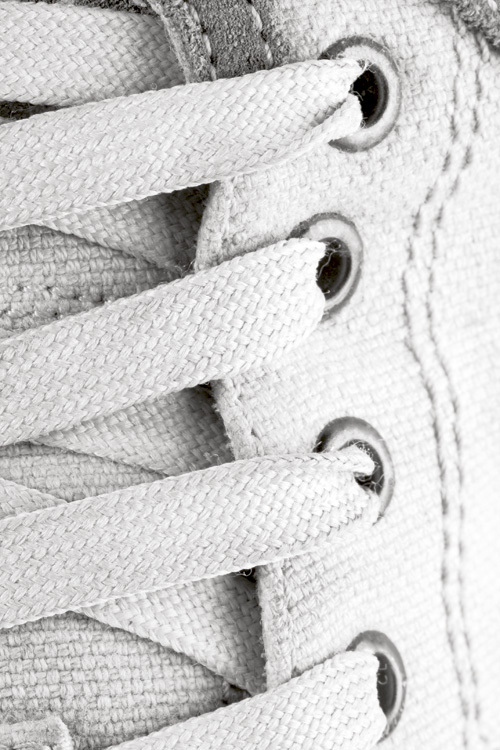 Eyelets: The holes that the laces run through. Heel: The first point of contact for many runners. The heel is often rounded to aid forward motion and may be made of a variety of materials, from gel to air pockets. Collar: The soft inside top rear of the shoe that supports the ankle and provides protection for the Achilles tendon. Heel counter: A rigid, moulded support inside the shoe that cradles the heel. Heel tab: This extends upwards from the heel counter at the rear of the shoe to hold the heel firmly in place. It often has a cutout area called an ‘Achilles notch’ to reduce direct pressure on the Achilles tendon. Midsole: This provides primary protection from the impact force of each foot strike. Although the midsole is usually made of foam, some manufacturers use special gels or air pockets. Outsole: The outsole is the bit that hits the ground (normally after the heel); it both provides structure to the shoe and gives traction on the running surface. Quarter panels: These are the sides of the shoe. They may include a small piece of mesh to reduce weight and add ventilation. Footbed: A removable insert that helps the shoe to fit snugly. It can usually be removed to aid drying. Tongue: The tongue sits between the laces and the upper foot. It may be ‘gusted’ (connected at the sides) to reduce the amount of water that can get in. Upper: This is the top part of the shoe that encases the foot. Like the quarter panels, these may incorporate a degree of mesh venting. Besides specialist track shoes (with spikes), there are only three main types of shoe from which to choose: road, trail and the relatively new phenomenon of barefoot shoes. Each is designed for a specific purpose, so bear this in mind when making your decision. Seek impartial advice on the pros and cons of manufacturers and the latest designs by looking in running magazines and online forums. 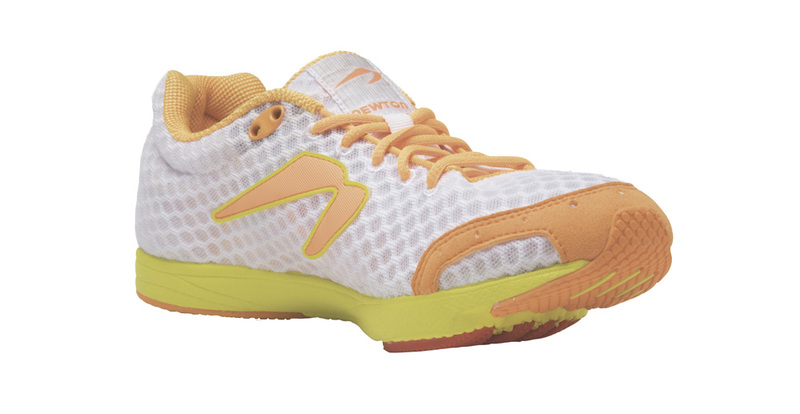 Road shoes are especially designed for running on hard surfaces. Some may be suitable for a small amount of trail or off-road running, but the quickest way to destroy your shoes is by using them for anything other than their intended purpose. The road shoes you choose will depend on a wide range of variables, the most important of which is your natural running style. This should be checked and advised upon by a specialist retailer. The price of road shoes varies enormously, but expect to pay anything from £40/$60 to in excess of £100/$160. To some degree, you get what you pay for, but do not be fooled into simply thinking that the more you pay, the better the shoe. There is more than a dash of fashion in running, and you will always pay a premium for the big-name shoes and the latest designs. Many of these will be packed with a multitude of technical-sounding extras that often serve little purpose for the majority of day-to-day running. Trail shoes not only have to fulfil your basic needs in terms of cushioning and stability, they also have to perform a number of additional tasks, including protecting the toe and sole from uneven surfaces and delivering enhanced traction for wet and muddy conditions. Trail running inevitably means uneven and often wet terrains; your shoes need to be up to the job of keeping you upright and providing enough traction to move you forward. Different manufacturers use a range of tread styles to achieve this, ranging from quite flat car tyre-style treads to large studs (or ‘lugs’) or even additional metal spikes. Low-profile treads provide good all-round traction, but they are unlikely to stand up to the very worst conditions. Conversely, shoes with really large lugs (resembling football boots) will handle more gruelling terrain but can skid on firmer or more compact surfaces. 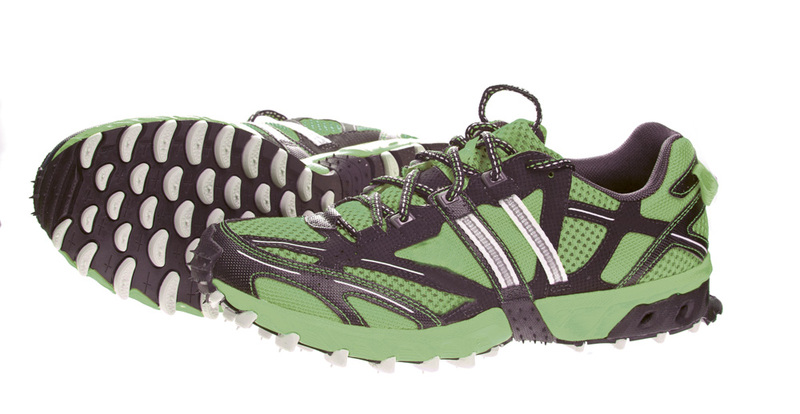 Trail shoes with low-profile lugs will allow some degree of road running to get you to the start of your off-road route. 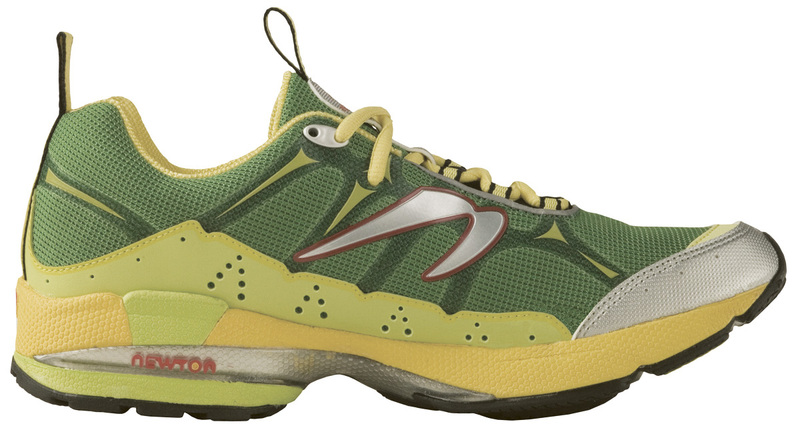 If you are likely to be running multi-terrain – a mix of trail, path and road – then choose a pair without large lugs. Nothing sounds more contradictory than a barefoot shoe, but over the last few years this running revolution has been transformed from a niche market – initially written off by many as a fad – to a massive industry with growing scientific backing. One of the sparks that ignited this quantum leap in shoe design was Christopher McDougall’s book Born to Run, a highly recommended read even for the most novice runner. Barefoot shoes are little more than gloves for the feet, providing minimum padding against underfoot forces and, crucially, having no built-up heel, to encourage a more mid- to forefoot running style. This, proponents claim, is a more ‘biomechanically efficient’ way of running, far more in line with the way we were intended to run in an evolutionary sense. Research certainly seems to support this claim, and barefoot runners are undeniably evangelical about the advantages. Are you one of the ten types of runner often seen on the road? You might enjoy this funny running story.